I’m so in love with this costume! I found it on etsy but asked my mom to make it for me instead! She can now make things by looking at the picture which is totally awesome! I can’t wait to see how hers turns out and to put our sweet baby girl in it! Well we know this winter will be a warm, snuggly, adorable one for the babies! Mom has made plenty of adorable has for her grandbabies. Here is a bear hat that she just made for my brother’s soon to be son! 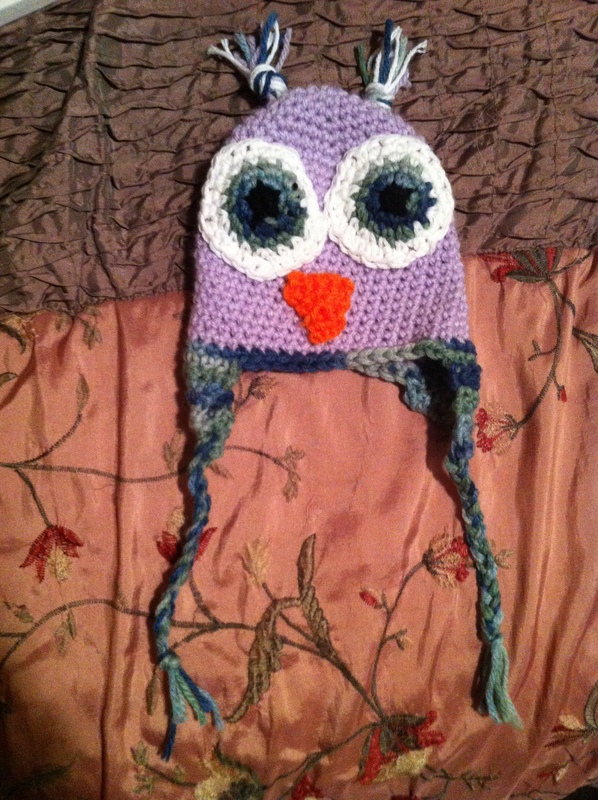 I think this hat is super adorable!!!! She gets most of her yarn from Joanna fabric and a lot of patterns come from etsy or a google search. I can’t remember where she said this pattern came from but if you’re interested leave a comment and I’ll be sure to figure it out! This cupcake hat makes me smile! It super adorable and I can’t wait to have a princess to wear it! Mom still needs to add sprinkles but i couldn’t wait to post! She’s thinking of tiny rosebud flowers that she picked up awhile ago and doesn’t have a use for. I think it’s a perfect idea! Again I bought this pattern from Beezy Mom’s Creations on Etsy. The yarn was purchased from Joann fabric online using a coupon code! This is the first project Mom started on before we even knew if we were having a girl or boy. As you can tell she was routing for a girl this time since we already have the perfect little boy. I love this hat, too adorable! This was one of the more easier patterns then what she’s been doing lately. Good luck with your hat if you decide to try! 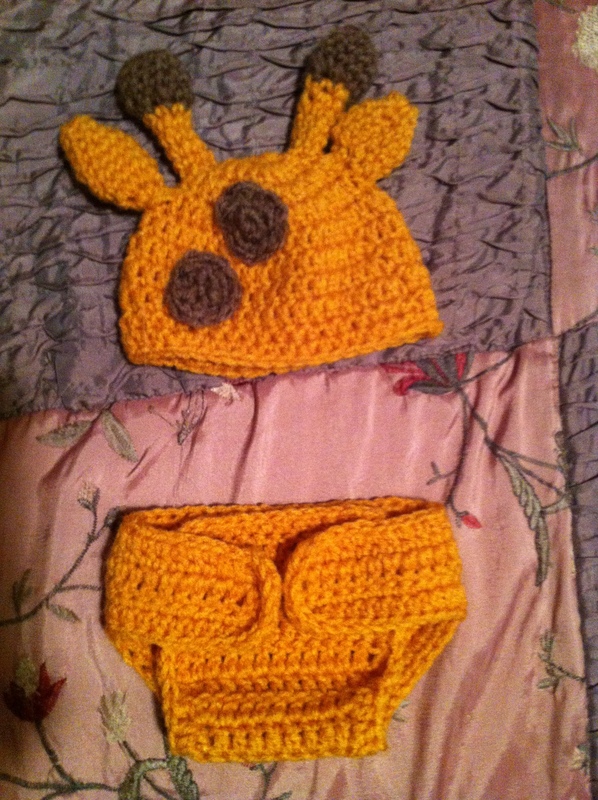 This is an adorable giraffe diaper cover and hat! I got the pattern from Beezy Mom’s Creations on Etsy and the yarn from Joann Fabric. Mom still needs to add buttons to the front of the diaper cover but that should be quick and easy for her. 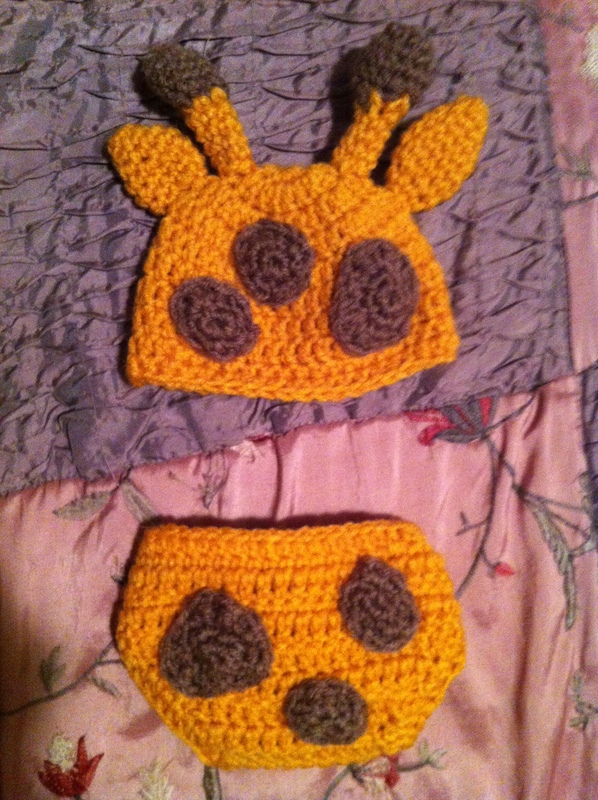 I love the animal hat and diaper cover patterns and there will definitely be more to share soon! I love the flower, ruffle, girly girl props most of all! Maybe because with my son flowers and ruffles are not an option! This pattern is gorgeous and you may use any colors you want and I’m sure it would still come out great. I love the colors Mom chose to use! 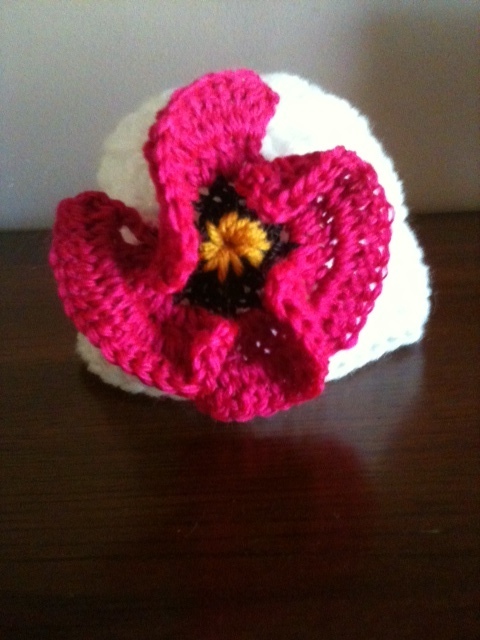 This cute poppy hat pattern was purchased on Etsy from Beezy Mom’s Creations.